A Muslim woman has quit her job at one of Australia’s top news channels following the New Zealand mosque attacks, saying she can no longer work for a company that pushes the “polarization and paranoia” of its viewers. Rashna Farrukh, who worked as a liaison staffer at Sky News Australia’s Canberra studio, described in a column for ABC News how she had many “crises of consciousness” during her three years at the Rupert Murdoch–owned network, largely because of its use of right-wing commentators and opinions. Farrukh, who described her role as helping with studio guests and running the office, said some nights she felt “physically sick” and “shed tears in my car on the way home” because of the viewpoints she helped promote, some of which attacked Muslims like herself. “I realized pretty quickly though that the Sky News I worked on wasn’t focused on reporting facts and informing the public,” she wrote in an editorial for ABC. “Rather, conservative media commentators came together with current and former right-wing politicians, disseminating misinformation which bordered on conspiracies. “I compromised my values and beliefs to stand idly by as I watched commentators and pundits instill more and more fear into their viewers. Farrukh then listed a number of interviews she witnessed, including politician Cory Bernardi advocating a burqa ban and Senator Pauline Hanson pushing for an “It’s OK to Be White” motion to be passed in Parliament. Farrukh added, “I answered calls from viewers who yelled about immigrants and Muslims ruining Australia. They did not realize that the person on the other end of the phone was both of those things. “Still, I continued to compromise my values. Not only my values as a member of a religious group who was continuously being blamed and alienated by the rhetoric on these shows, but also as an aspiring journalist. “This weekend, though, I realised that where we get our start matters too. Over the past few years, I was playing a role —no matter how small—in a network whose tone I knew would help legitimise radical views present in the fringes of our society,” Farrukh wrote. Farrukh added she felt dismay at the company’s decision to replay segments of the Facebook live stream uploaded by the shooter while he carried out the atrocity. In a statement, Sky News Australia CEO Paul Whittaker said, “On Friday as the live events began to unfold, we contacted our colleagues at SKY in NZ to alert them to the risks of broadcasting coverage from Australia and its potential to compromise the NZ investigations and legal process. 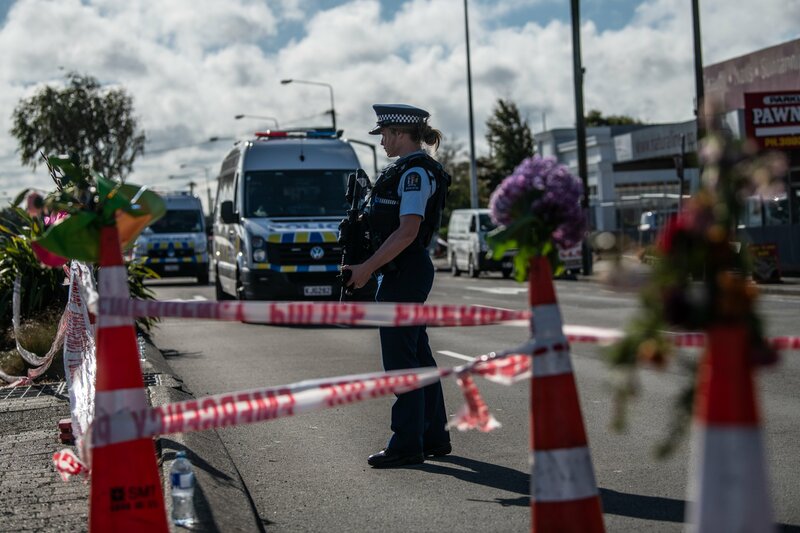 “With SKY NZ’s agreement, we took the pre-emptive and precautionary step to switch our live news feed to sports coverage early Friday evening to ensure any live coverage or commentary taking place in Australia, outside of the NZ jurisdiction, does not impact the unfolding events in NZ. News sites, including MailOnline, were heavily criticized for running outplay videos online of the mosque attack on the day of the shooting. According to The Guardian, Australian news networks Channel Seven and Nine are under investigation after broadcasting the Facebook shooting video from inside the mosque. In a statement discussing Farrukh, a Sky News spokesperson added, “We respect Rashna’s decision and wish her well with her future endeavors. Next articleReport- Which Teams Have Punched a Postseason Ticket?